The Winning Formula is the secret to wealth that will change the way you look at your business and life. What if all your hard work could be transformed into real financial security financial independence and personal freedom to do what you want when you want to? When I started in business at an affiliate of a prestigious investments banking firm Lazard Frères, every morning I ran present value and future value tables until I could estimate the value of real estate and companies in my head. (Present value (PV) is the current worth of a future sum of money or stream of cash flows given a specified rate of return. Future cash flows are discounted at the discount rate, and the higher the discount rate, the lower the present value of the future cash flows. One day, Jerry, one of the Lazard partners, leaned into my cubby hole and snapped like a drill Sargent “Spirer”! An Irish guy with reddish cheeks and swept back polished hair – Jerry ruled the firm with an iron fist. I jumped up from my rigid second-hand back-breaking excuse for an office chair, ready for duty. Jerry eyed my uniform that matched his. The gray pinstripe suit, solid red tie and heavy laced spit shined wing tip shoes. He gazed at my tie that had jumping horses across it. My rebellion against the rank conformity. Jerry reminded me of the Apple commercial’s monochromatic corporate drones stamped out of the same mold. “Take this up to Mr. Meyer, ” he commanded. You see André Meyer was like the Warren Buffett of investment banking along with Sidney Weinberg, General Partner of Goldman Sachs. He was one of the wealthiest men in the world. 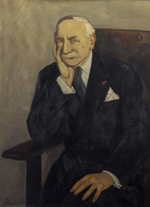 Some called Meyer “The Picasso of Banking”. I tightly gripped my worn black briefcase securely buckled that held of the memo of a deal we chiseled out in a set – in-stone Lazard Frères format. It was a secret presentation template. It was a step-by-step scripted way to pitch clients like the Kennedy family to invest in Lazard Frères deals.. I knocked on the door at the Carlyle Hotel. André Meyer had a huge suite. A housekeeper ushered me in. Meyer was on the phone. Call after call came in. Finally, Meyer came over, looked me up and down even more intently than Jerry. Meyer took the manila envelope and surgically opened it so the entire envelop flap stayed intact as if it had never been sealed. Like the movie Groundhog’s day, the scene with Meyer repeated over and over almost every day. I was the classic gofer. Gradually, Meyer took a liking to the familiarity and the naivete I exuded. At first, he probed me about my upbringing and how Lazard Frères had never before hired someone like me while they were still at business school – and now full time. As I lingered longer and longer in Meyer’s suite, I over heard Meyer’s deals. They amounted to staggering numbers. In today’s dollars – multi-billions. Truly a human calculator, Meyer architected huge merger and acquisitions on the fly. Deep down, I craved to know, really know, what was his secret to wealth. There were lots of super smart people who never made any real money or built any true wealth. There had to be more than just brain power. But what? I scoured the Lazard secret memos voraciously. What was the missing piece to the puzzle behind them. I had to know. I had to ask Meyer. But, how should I approach him? And, when? One day, I reflected that my father (like Meyer ) had a hair-trigger temper. Again, I pondered when to ask Meyer about his secret? Would he throw me out – literally banish me forever fro seeing him or fire me for asking? I ruminated over how I watched the micro-moments of my father’s behavior. I stayed on constant alert for my father’s key signals that would tell me I could approach him. Signs such as my father lit up and smoked a big La Flor Dominicana La Nox cigar, listening to Sarah Vaughn or drinking Jack Daniel’s Black Label. If he was doing all three and dancing a few mambo steps by himself while humming the song, then I gingerly walked into the room. I waited for my father to look up at me. We had a small live chat about the deal I knew he had closed. Then I asked my father “what do you feel about so and so?” That was it. And, I waited and hoped for the best with one foot turned to the door for a fast exit. Now Meyer never showed his hand. He was highly secretive. But, I discovered from observing him – just like I observed in every minute detail my father – that there was this glint in Meyer’s eyes. I came to know when his super calculator brain saw an exceptional deal and return on investment. He’d clench the deal memo and keep reviewing it. He’d strike his fingers over and over it like stroking the arm of a new lover. “What’s your secret to wealth?” I blurted out. He abruptly stopped. His fingers continued to stroke the deal memo. The phone rang. My heart raced. Would he pick the phone up? Suddenly, his hand shot up I hesitated motionless, my foot instinctively turned to the door for a fast exit. The hand’s fingers motioned me over to sit on a plush sofa. Meyer sat beside me. The phone rang again. And again. And that was it. I knew never to ask him again. It took me many years to understand the Winning Formula. You see in this crazy world of ours we get up in the morning and work real hard – many of us. We work for our mortgage, student loan, car loan, credit card loans, we buy things and more things. We work for our liabilities – they take money out of your pocked whether you work or not. We work hard for income to cover our expenses and liabilities. When the music stops, the income stops. With real inflation – not the phony inflation index – income has not risen for most. In decades. We get poorer every day, every minute while time lost never comes back. Assets are different. They put money in your pocket whether you work for them or not. In my career as an investment banker and entrepreneur, I followed the Winning Formula. I taught it to my clients. At first, I told them you work crazy long hours. You learn what you have. Then you learn how to articulate that no-brainer offer that compels them to convert and buy your products and services.. You follow the steps in the secret memo template. You can fill in the blanks. You learn how to build an asset from the minute you start your business and keep driving it to the next level and the next. You have an asset – your business works for you and creates growing monthly cash flow whether you work for it or not. Others now join and build their wealth with you. Everyone wins -and you make the world a better place to live. 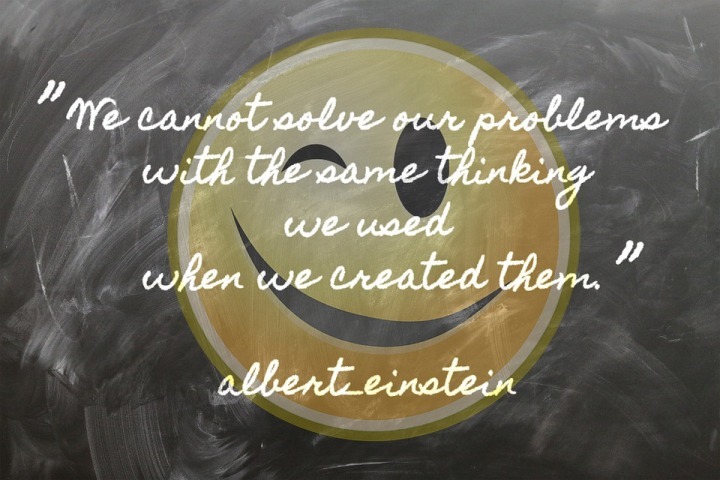 Because of your solution. To survive and never work for anyone ever again, I at first created assets for myself, my family and few clients that believed in my vision of The Winning Formula. I learned that the Winning Formula required a system to turn your business into a true asset. The Winning Formula can make you wealthy, even very wealthy. Over the last three years, we developed DilogR to make implementing the Winning Formula in your business so you can immediately start create assets first, then income. You may believe that the ways of doing business have changed – and it has dramatically. But, Meyer’s Winning Formula hasn’t. 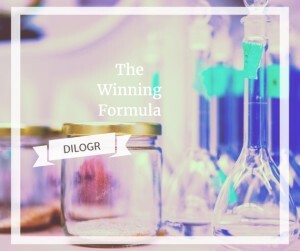 If you truly want to see your dream come true, we will show how to implement the Winning Formula system with DilogR. You can be up and running in less than 30 minutes. DilogR helps you to create test and then market and sell your no brainer offers. You can also email me personally.